Qualification:A. Language Teachers Native English speakers with B.A., M.A. or Ph.D, who will teach oral, written and business English in the Foreign Languages College of Luoyang Normal University. B. Teachers of Other FieldTeachers with B.A., M.A. or Ph.D, who will teach specialized courses for Arts ( ie, drawing, paining and arts design,etc.) Music ( teach dancing, piano, etc), Computer science, Physics, Chemistry and Mathematics majors. 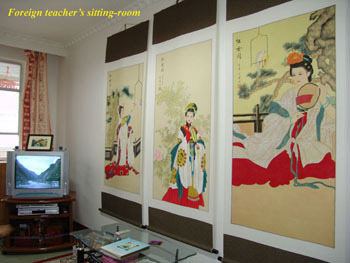 Income:Monthly salary will be from 4000 to 6000RMB depending on edu. degree and experience, The monthly cost of living for local people is $100 USD(about 600RMB), which is about 430 RMB. Two months of holidays for summer vacation, and one month for winter vocation are allowed. Duties: Students are from the age of 16 to 22. In addition to normal teaching hours,office hours and English corner activities are expected.We will offer text books, teaching facilities such as language lab.and working office. Benefits: We will pay salary during summer/ winter vocation. 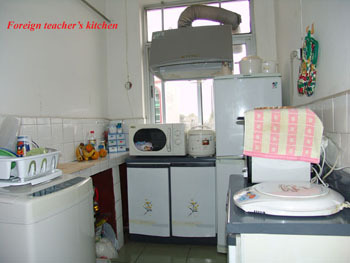 We offer return air tickets for one year contract, a furnished apartment for each teacher, ?which includes two sitting rooms, one bed room, one kitchen, and one bathroom, as well as internet, air conditioner, refrigerator, auto-washing machine, TV, cooking facilities, bathroom with shower, and all necessary furniture such as bed, quilts, sofa, etc. All the apartments are on the campus and well decorated. The foreign teachers can have one-day-holiday for Christmas Day besides those holidays Chinese officials enjoy. Every term we need 10 teachers. Now the recruiting begins for the new term (Every year, Spring term begins in Feb. and Autumn term begins in Sep.), but the recruiting is conducted all the time. Step two: a.Signing contract by both sides b.Taking physical examination in the hospital which appointed by the local Chinese Embassy c.Sending us back the original signed contract and the result of the physical examination. Step three: Taking the contract, working permit and the original physical examination checked by our Gov. to the Local Chinese Embassy to apply working visa.